Washington D.C. [USA], Mar 19 (ANI): American singer Ariana Grande kicked off her 'Sweetener' tour last night on a sentimental note. The singer honoured her late ex-boyfriend and rapper Mac Miller. Washington D.C. [USA], Feb 11 (ANI): American Singer Ariana Grande on Sunday had a very strong reaction to her late ex-boyfriend Mac Miller losing the Grammy award for best rap album, but later explained herself and apologised. Washington D.C. [USA], Jan 04 (ANI): American singer-songwriter Ariana Grande kicked off 2019 with her ex Ricky Alvarez. Ariana Grande is single and not ready to mingle anytime soon! Washington D.C. [USA], Jan 02 (ANI): American singer-songwriter Ariana Grande has for once and for all set the record straight on her dating life since her breakup with comedian Pete Davidson. Washington D.C. [USA], Jan 1 (ANI): Ariana Grande is saying 'Thank u, next' to many things in her life from 2018 and she's ready to close the past year's chapter for good. Washington D.C (USA) Dec 29: American songwriter John Mayer, in a social media post, stated that he wishes to have known late singer Mac Miller better. 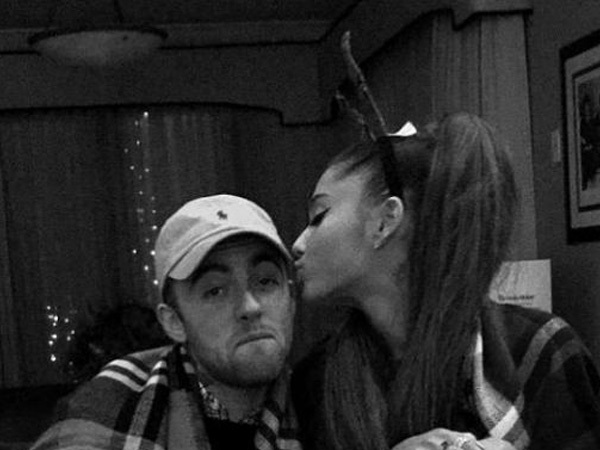 Washington D.C. [USA], Dec 03 (ANI): Seems like Ariana Grande is continuing to grieve the death of her ex-boyfriend Mac Miller, as this time the pop-star covered up her matching tattoo with ex-fiance Pete Davidson with name of the deceased rapper's pet dog. Washington DC, [USA], Nov 26 (ANI): Ariana Grande is not in a mood to take any more trolling over ex-boyfriend Mac Miller's death. Washington D.C. [USA], Nov 7 (ANI): Ariana Grande continues to mourn late rapper Mac Miller. Washington D.C. [USA], Nov 6 (ANI): It has been revealed that rapper Mac Miller died of mixed drug toxicity. Ariana Grande's new song features ex-fiance Pete Davidson! Washington DC, [USA] Nov 04 (ANI): Ariana Grande has released a new song titled 'Thank U, Next' and it's about the men she has dated. The song features everyone from her late ex-boyfriend Mac Miller to ex-fiance Pete Davidson.